Wherever I go, whatever I’m doing, my left lace always wrangles its way free of the bow I’ve tied in it. Always the left! Something supernatural? Perhaps because I’m right-handed and don’t tighten it with the same vigour as my right shoe? Perhaps I’m just no good at tying laces? Well, whatever the reason, my left shoe lace seems to have a mind of its own… Neat, tidy hair, crisp, clean, white shirt, sharply pressed striped trousers, waistcoat, frock coat, leather gloves, top hat and a pair of well-shined shoes. Perfect…except for the feathered lace-end in my left shoe; no matter how smart I can feel when I’m ready to step out and conduct my funerals, plodding along with an untethered lace can make me feel like a complete scruff! I considered slip on shoes and bought some. However, no matter how hard I polished them, one is dull and the other shines. I give up. As yet, I still haven’t managed to find those new shoes that I dream of. When my left lace starts to flap, I have come to look down and scowl. A quick bend of the knee and I’ve tucked the lace down the side between leather and ankle. Then when I have the opportunity, I re-tie. For a boy who always wore slip-on, black sand shoes, I don’t recall ever being too bothered about learning to tie my laces – I guess I realised I was way behind some of my peers in first school when I was, by some miracle…or by some terrible mistake, picked for the school football team. 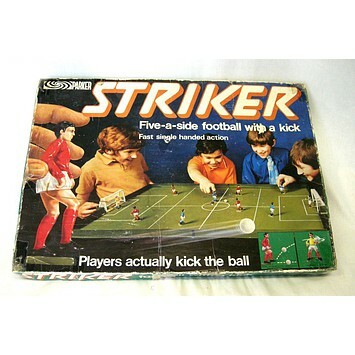 Despite my love of football (not so in present times), I was never really a player… Nevertheless I was elated! It wasn’t too long before I was on the team sheet and ready to play my first ever competitive game of school football. Over the days preceding my first kick off, I flicked back and forth through my copies of Shoot and dreamed that the opposition were the very best in the district, and we’d be hammered! With only minutes to go before the final whistle, I would save the day and win the game with miraculous dribbling, and red-hot strikes a professional would envy, scoring goal after goal with skilful ease! In reality though, I was terrified because I hadn’t yet learned to tie my laces…except in knots. On a freezing cold, Saturday morning, on a rock-solid, frozen school football pitch, I ran out and took up my position. Sleeves pulled down and wrapped around my hands to keep out the chill, goosebumps on top of goosebumps on my blue legs, and feeling my nose stinging with cold, I was ready. Not one of us could run straight because of the ground conditions and the studs offered no grip to either push-off or slow down. I think we played around twenty minutes for each half, and as it happens, we were playing one the best teams in the area, St. Patrick; everyone used to lose against this formidable team… I was hopeless and hardly moved an inch throughout the whole game. I was off my feet more often than on, I was screamed at for getting a throw in wrong and the ball ending up with the opposition, penalised for pulling someone’s hair, swearing at the referee (our PE teacher), gave away countless free kicks for pulling shirts and finally dragged by my shirt after I’d sat down in the middle of the pitch, arms folded and in a strop of frustration. The game was a complete shambles and with only minutes to go, not a single goal had been scored! With the final whistle upon us, we were given a corner. 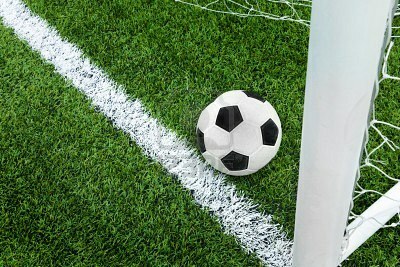 The ball was struck and bumped its way across the frozen goal mouth, right to my feet! I couldn’t believe the ball had come to me and my timing was absolutely perfect! I moved to swing my right foot and whack the ball through the net! I’d be the hero! However, I stood on my laces which had come loose, actually never having been tied, only wrapped around and around my boots and tucked in the sides, tripped and fell on the ball. The goalkeeper, tense with readiness to save his team from defeat, moved heroically, with no thought for his body hitting the frozen goal line and calculating where my shot was going, went in completely the wrong direction! As I fell, the ball was directly under me and span from under my chest, rolled idly across the line and stopped! We won! 1-0! 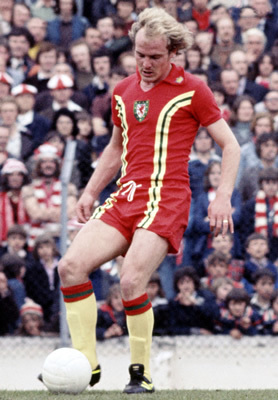 This entry was posted in My Words and tagged football, frost, knots, laces, School, supermac, terry, wales, yorath. Bookmark the permalink.